Hotel Favourite Regency is located 4 km away from the Dwarkadhish Mandir. The hotel offers breakfast service to its guests. Anand Junction is located 5 km away from the property.This property in Anand accommodates 32 well-furnished and spacious rooms. Each room in this hotel offers amenities such as cable television with premium TV channels, bottled drinking water, makeup room and attached bathroom with hot/cold running water facility.Hotel Favourite Regency features a 24-hour front desk facility and luggage storage counter. 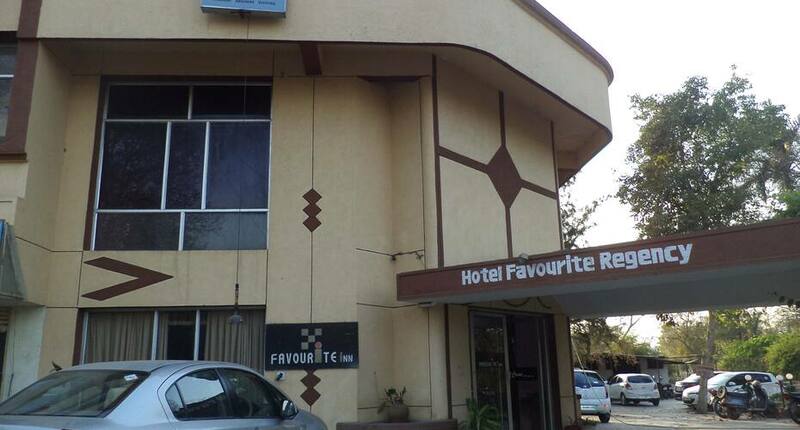 This hotel also offers services such as laundry, round the clock room service and medical assistance.This budget hotel in Anand has parking area for its guests. Places of interest are Ranchhodrai Temple (3 km), Ambema Temple (3 km) and Sardar Patel Auditorium (6 km). Nadiad Junction is 23 km and Sardar Vallabhbhai Patel International Airport is 85 km away from the property. Reason For Rating : Nice and peacefull stay. The only perk of this hotel is that its located very near to the railway station hence it makes it quite reasonable.Rooms and amenities both are very average.Staffs are really not courteous,but if youre looking out for a budget stay,you would want to consider this hotel. Not good for the family stay. I observed its being rented for unmarried couples for some unethical usage. When I requested for the Hot water in the morning they didn't care for it and simply asked me to bath with the available cold water. Its also very close to railway station and main road thus has a noticeable disturbing noises.